Good Friday (19/4): Celebrating our 10th Anniversary in business. Open 4.00 – 11.00 p.m. Bar from 4.00 p.m. and dinner from 6.00 p.m. Live music tonight (Mr Pete Fidler & Mr Paul Wookey). Film from 8.00 p.m. ‘The Kids are Allright’ a 1979 rockumentary film about the English rock band the Who. Easter Sat: 11.00 a.m. – 11.00 p.m. Lunch from noon. Dinner from 6.00 p.m. and live music from 7.00 p.m. Note: We are fully booked Sat. night. 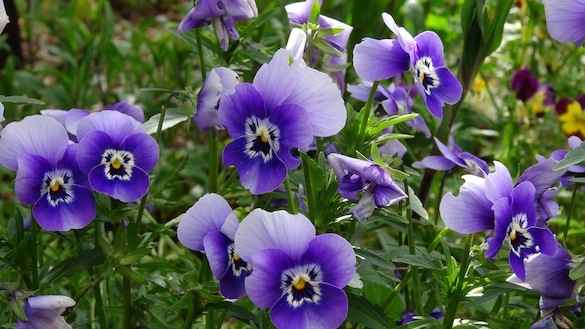 Easter Sun: 11.00 a.m. – 11.00 p.m. Lunch & live music from noon. Film from 4.00 p.m. Dinner from 6.00 p.m.
Tue: 4.30 – 10.00 p.m. “DATE NIGHT”: A fun and relaxed night in our Back Beach Bar. Wood fired gourmet pizzas from 5.00 p.m. and a mystery film from 7.00 p.m. in The Henri Langlois Screening Room. Hawaiian shirts are encouraged. Thu: 4.00 – 11.00 p.m. Bar open from 4.00 p.m. and a fabulous THAI menu from 6.00 p.m.
King bed with ensuite and garden access. Queen bed with ensuite and garden access. 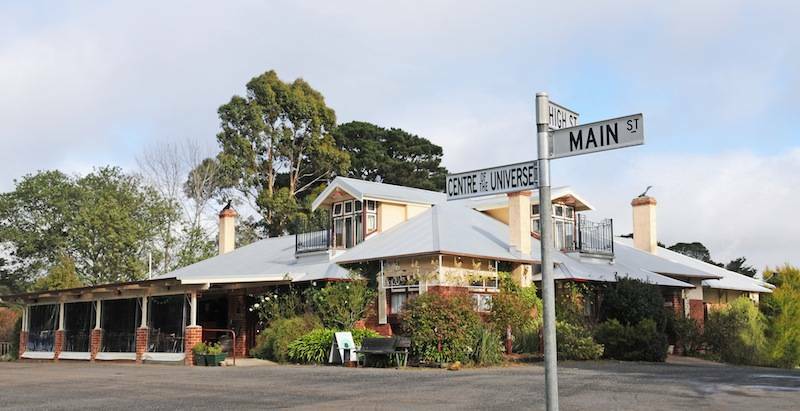 The Radio Springs Hotel is situated in the small historic village of Lyonville, between Daylesford and Trentham. Lyonville, named after James Lyon from the 1860s, is situated near the Wombat State Forest in the highlands of central Victoria. Built around 1927 RSH is one of the few surviving buildings of the earliest phases of settlement. California Bungalow in design, its red brick walls are firmly planted in the centre of the original part of town. 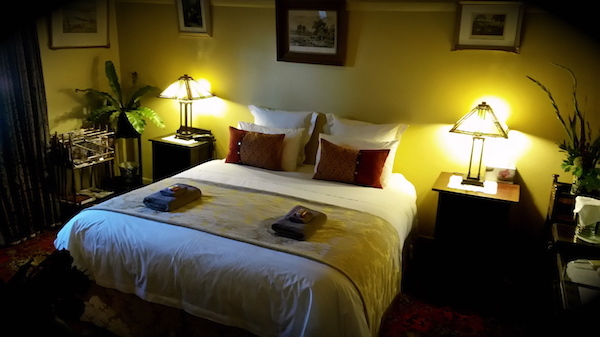 Closed over a 15 year period, the hotel has been slowly renovated, refurbished, and resurrected by its current owners, Ken Parfrey and Jackie Airey since 1997. The business re-opened on Good Friday, April 2009. Comfortable, cosy, eclectic and eccentric inside, the choice between the front bar, parlour bar, main dining room, private dining room or laid back lounge/library is sometimes just too hard to make, especially since each of these offers a crackling fireplace. of nine beers on tap (including apple cider) and a well stocked top shelf. 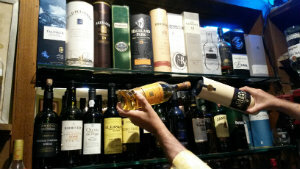 We have a wide range of single malt whiskies that will warm your cockles or quench your thirst, whichever your greatest need. 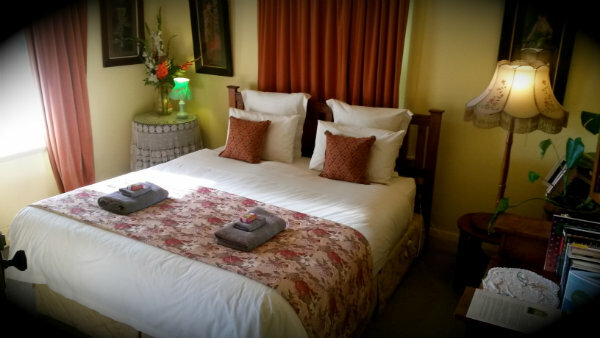 Radio Springs Hotel also offers accommodation in a choice of four rooms all with private ensuites. 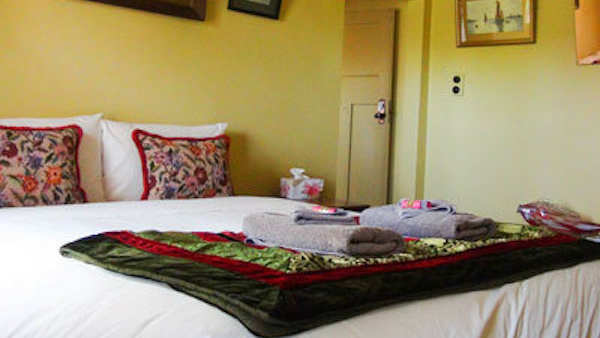 Rooms 1, 2 & 3 each have a King size bed and private ensuites. Room 4 has a Queen size bed and private ensuite. 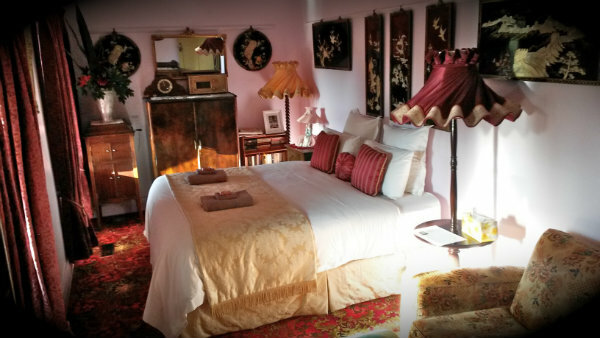 Room 1 includes a romantic clawfoot bath whilst the other three rooms offer a shared balcony with steps down to the large garden. The two acres of rambling garden in which to wander includes mature trees, lawns, perennial beds, roses and winding paths. There are plenty of places to sit and relax, listen to the birds, or gaze off into space. Note: do not delete the section below, it is for mobile viewer.